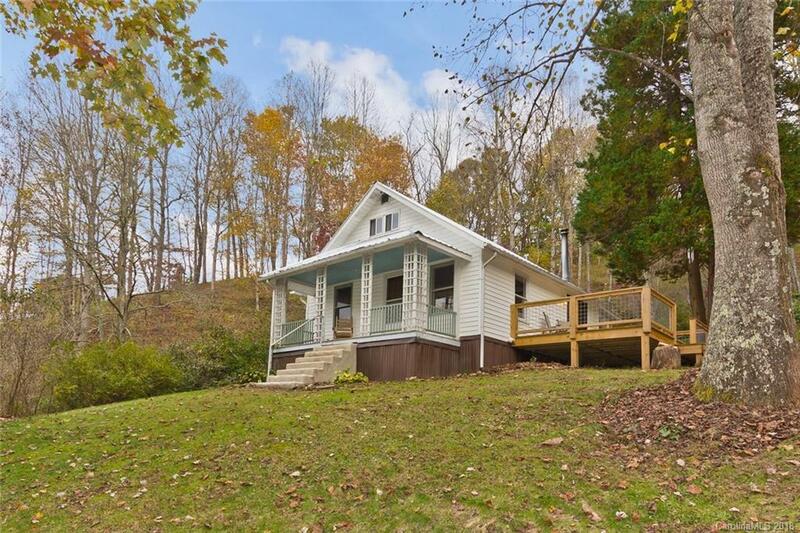 Peaceful mountain farmstead on 11+ acres, conveniently situated between Mars Hill and Burnsville. Only 35 minutes to downtown Asheville. Restored 1940s farmhouse. New electric wiring, plumbing, floor joists, and double pane windows in the 1990s. Delicious spring water with new pump and UV filtration in 2017. New deck in 2017. New metal roof in 2018. Updated large country kitchen with granite countertops and 5 burner gas range. High efficiency on demand hot water heater installed in 2014. Wood stove and central gas forced air. Big, sturdy old tobacco barn with 4 animal stalls. Mostly wooded with approximately 3 acres in pasture. Creek runs through middle of property. Large fenced organic raised bed garden. Established fruit trees, grape vines, flowers, and berries. Plenty of outbuildings for storage/equipment. Situated at the end of a county maintained road (snow plow comes right to the driveway!). Friendly neighborhood surrounded by beautiful mountains.